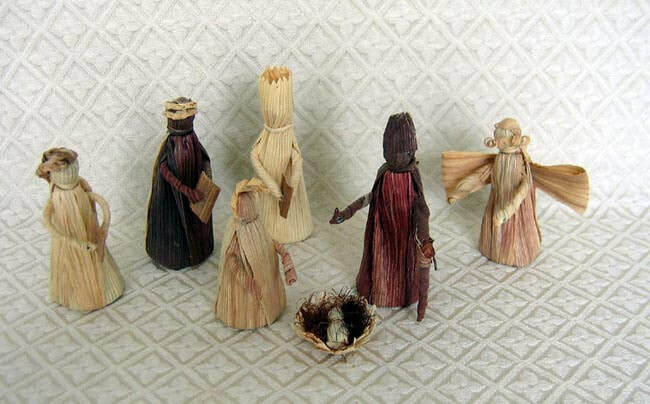 This Nativity is made from dried corn husks. The set contains Joseph, Mary, baby Jesus in a manger, an angel, and three wise men with gifts. Joseph stands 4 inches tall.